Being confined to a desk a large amount of your life is something most people don't want to do or deal with. 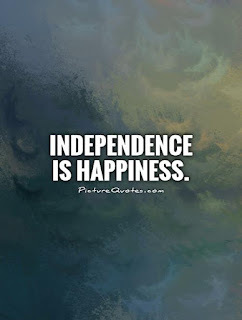 The only thing is having the INDEPENDENCE to do what you want, it requires a lot of work and all of the time. 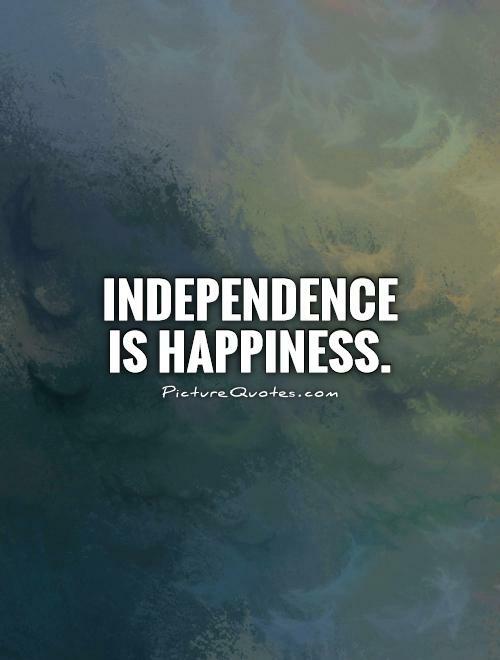 INDEPENDENCE will get you far because it becomes inspiring to others and they see and realize they can do what you're doing. Freedom to do what we want everyday is mainly our goal. Sometimes we have to take a leap of faith in order to get to where we want to be. That might entail walking away from the job you're currently at, it might be cutting down the amount of hours at your job. It can consist of leaving certain people behind in your life, it can be various things. Traveling your own journey is what's important in getting your INDEPENDENCE. It's all in timing and what you want to have in your life. Speaking it into existence is crucial and knowing that having INDEPENDENCE will come at a price. But it's what's going to get you far in your passion and what you truly love. Don't settle into what the world and society want you to be. Carve your own path and work toward your INDEPENDENCE of the corporate structure. There's room for all of us to succeed.